NANNY CAY, Tortola, VI- The Romney and Associates Group (ROMASCO), added to the spirited World Cup final, Sunday July 14, 2018, by bringing together football fans with associated companies in the Virgin Islands at the family-oriented Captain Mulligans, Nanny Cay. Participating companies included, from the ROMASCO Group, Romasco Shipping, the local agent for King Ocean Services and Travel Plan Limited. 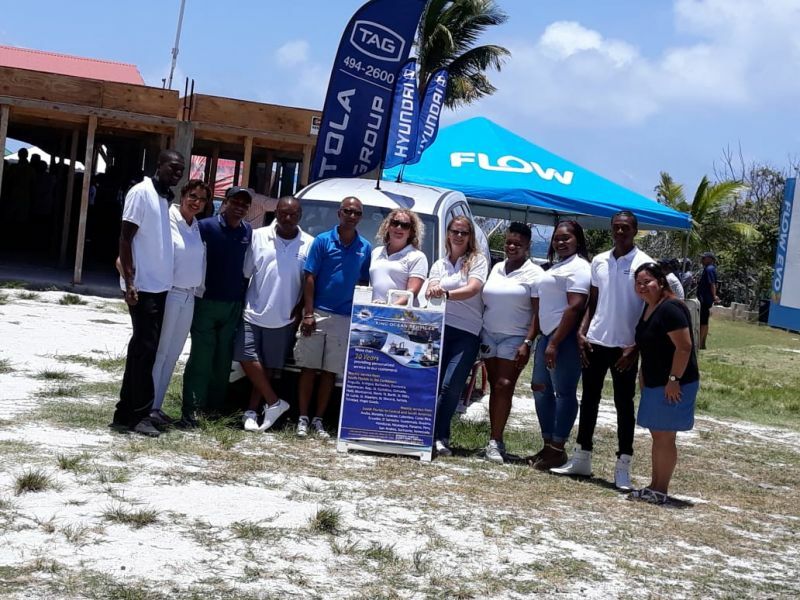 They were joined by leading auto company, Tortola Auto Group (TAG). The lively venue provided an opportunity for fans to watch the big game, while benefiting from giveaways from the bar and gift bags sponsored by the participating companies. "It was a sensational experience for all of the companies involved because we got the opportunity to interact with fans and share information about our services in a lovely location," said Patricia Romney, Managing Director of the ROMASCO Group and TAG. At Mulligans, TAG showcased the newest addition of car models from Ford and Honda, two brands that the company recently added to compliment its top-selling Hyundai brand. Romney congratulated France and their fans for sealing a 4-2 victory in the finals against Croatia, who entered the encounter as the underdog.